We developed the microprocessor-controlled C-Leg compact leg prosthesis built on the proven C-Leg technology, tailored to meet the needs of transfemoral amputees with a low activity level but a pronounced need for safety. 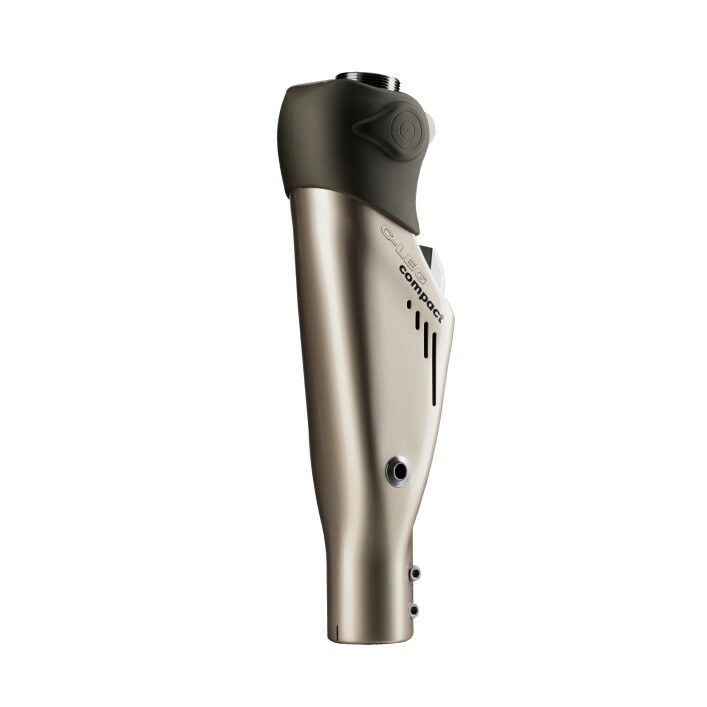 Like the model on which it is based, the C-Leg compact offers a gait pattern that largely replicates natural walking, and maximum safety thanks to a controlled stance phase. A standing and locking function can be activated by remote control for added safety and comfort. Scientific studies show that users of the C-Leg compact have a significantly reduced incidence of falling. Further information is available under "Studies and publications on the C-Leg compact" or from your orthopaedics specialist. With the C-Leg compact, we have succeeded in tailoring the proven C-Leg technology to even better meet the needs of less active prosthesis wearers with a pronounced need for safety. You as the user therefore have to concentrate less on your prosthesis. An appealing design and the possibility of fine-tuning according to your individual requirements round out the profile of the C-Leg compact.